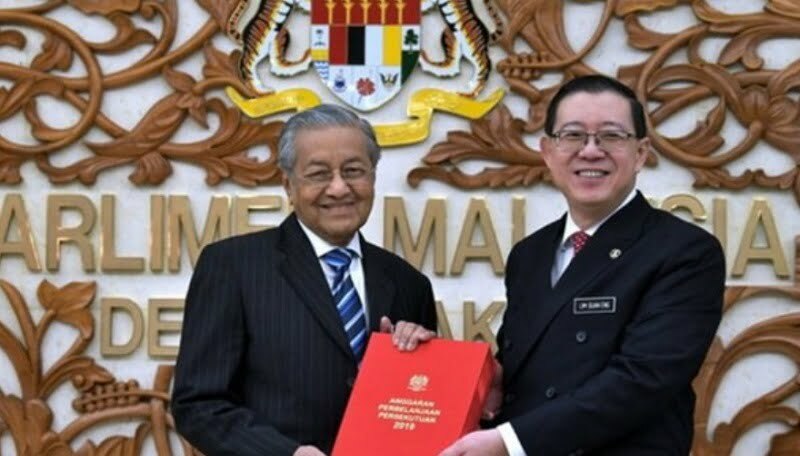 Amid cautionary statements of new tax measures and a ‘no goodies’ budget, Finance Minister Lim Guan Eng has announced the largest ever allocation for a federal budget totalling RM314.55 billion. This figure overshadows last year’s budget of RM280.25 billion, which had been memorably described as the ‘mother of all budgets’ by the former Finance and Prime Minister, Datuk Seri Najib Razak. Ultimately, there are more winners that losers in the first budget under the Pakatan Harapan government. Perhaps the biggest cut is in the fiscal target, abandoning the earlier fiscal deficit target of 2.8% to 3.7%. Here’s our round-up of the top winners and losers from Budget 2019. As expected, the government unveiled a slew of initiatives to help the B40 group to cope with the rising living costs starting with cash grants for the B40 households via Bantuan Sara Hidup (BSH). Households with monthly income of RM2,000 and below to receive RM1,000 financial assistance with 4.1 million households expected to continue receiving financial assistance with a RM5 billion allocation in Budget 2019. Along with cash aid, other measures to help this target group include raising the minimum wage to RM1,100 in Malaysia effective from January 1 next year while the elderly in this category have also not been overlooked. The government is also rolling out a national B40 Health Protection Fund to provide free protection against top 4 critical illness for up to RM8,000 and up to 14 days of hospitalisation income cover at RM50 per day effective on January 1, 2019. There is a one-off assistance of RM500 to pensioners who are receiving pensions of less than RM1,000 while borrowers aged 60 and above earning less than RM4,000 a month will see their debt balance written off at a cost of RM4.2 million. The government also proposes reduction of employers’ EPF contribution for workers aged 60 and above to 4%. The initial seed funding of RM2 billion will be provided by Great Eastern Life Insurance. In a move to make insurance protection more accessible, the government proposes to waive stamp duty for all insurance products under ‘Perlindungan Tenang’ introduced by Bank Negara Malaysia for two years beginning January 1, 2019. Similarly, initiatives to encourage higher insurance take up rate have been proposed as the combined tax relief for EPF contribution and life insurance or takaful deduction will be separated into RM4,000 for EPF contribution and RM3,000 for takaful or life insurance premiums. Among the biggest woes of many Malaysians is unaffordable housing prices and the government will allocate RM1 billion to help those earning RM2,300 or less a month to own their first home. A total of RM1.5 billion has been allocated for the affordable housing segment via the People’s Housing Programme (PPR), Malaysia Civil Servants Housing Programme (PPAM), 1Malaysia People’s Housing (PR1MA) and Syarikat Perumahan Nasional Bhd (SPNB). Real Property Gains Tax (RPGT) is exempted for land, low- and medium-cost housing and affordable housing priced under RM200,000. 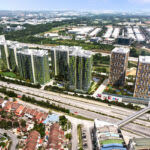 First time home buyers also get an exemption on stamp duty for properties priced between RM300,000 and RM1 million, for a limited period of six months starting January 1, 2019, which forms part of the National Home Ownership Campaign where developers will offer 10% discounts on existing unsold properties. In a surprise move, the government is turning Pangkor Island into a duty-free zone while providing tax free incentives to Penang’s Swettenham Pier in the form of duty-free shops to cater to its booming cruise tourism. A 380-acre land in Pulau Indah will also be converted into a Free Trade Zone while up north, the government will also support the development and growth of the Kota Perdana Special Border Economic Zone in Bukit Kayu Hitam, Kedah. The government has earmarked RM100 million to prepare Malaysian athletes for 2020 Tokyo Olympics while e-sports received a surprised injection of RM10 million. An allocation of RM20 million will also be spent for Malaysia Healthcare Tourism Council (MHTC) to work with leading private hospitals, to boost Malaysia’s image as a health tourism destination. Local entrepreneurs and cottage industries have also received a helping hand with RM100 million allocated to TEKUN to finance small entrepreneurs in 2019. Finally, it is all Malaysians who will stand to benefit as the government intends to raise the Malaysian Anti-Corruption Commission (MACC) operating expenses allocation by 18.5% to RM286.8 million to beef up its enforcement team with 100 more personnel next year. With the government touting debt reduction as a key objective, who stands to lose out this year? While past budgets have targeted sin taxes in the form of tobacco and alcohol, the government has taken aim at the lucrative legitimate gambling industry in the form of casinos and gaming machines. The annual gaming licence fee for casinos is set to be raised from RM120 million to RM150 million while the gaming tax on casinos to be raised to 35% of Gross Gaming Revenue (GGR) or casino tax. Gaming machine dealer’s licence will also be raised from RM10,000 to RM50,000 annually and the tax on gaming machines has been increased from 20% to 30% of gross collection. Perhaps this is the biggest tax bite that the Finance Minister have been warning about earlier. For companies and foreigners (non-PRs), RPGT will be doubled to 10%, while Malaysian individuals will be taxed 5%, increased from 0% previously. This applies to the disposal of properties in the 6th year and beyond, from the date of purchase. Owners of higher-priced properties have less to cheer about with just a two-year exemption on stamp duty for houses priced up to RM500,000, on the first RM300,000, while the stamp duty for the sale of properties priced more than RM1 million will be raised to 4% from 3%. The government has announced that all toll hikes in the city to be frozen from 2019, a move likely to incur financial implications estimated at about RM700 million. In a related move, it will also abolish tolls for motorcycles for the Penang Bridge, the Second Penang Bridge and the Malaysia–Singapore Second Link, at a cost of RM20 million, beginning 1 January 2019. Services tax will be imposed on imported services, specifically implementation of service tax on foreign digital services – including software, music, video and digital advertising, starting January 1, 2020. While this new tax has yet to be elaborated, logos of music streaming service Spotify, video streaming site Netflix and game distribution platform Steam were displayed during the live telecast. Finally for those hoping to travel abroad, the government is proposing to a departure levy on air travellers leaving the country from June 1, 2019. Travellers flying to Asean destinations will have to pay a departure levy of RM20 while those going to other countries will have to fork out RM40. While analysts will be busy unpacking Pakatan Harapan’s inaugural budget in the weeks to come, perhaps Prime Minister Tun Mahathir Mohamad’s words aptly sums up Budget 2019. “We tried to meet the aspirations of the people while at the same time, keep the budget spending below our income,” Mahathir told reporters after the historic tabling of the budget in Parliament on November 2, 2018.